Whether you are looking for short term temporary, or long term storage or hire, we here at All Undercover Marquees can help with your solution. 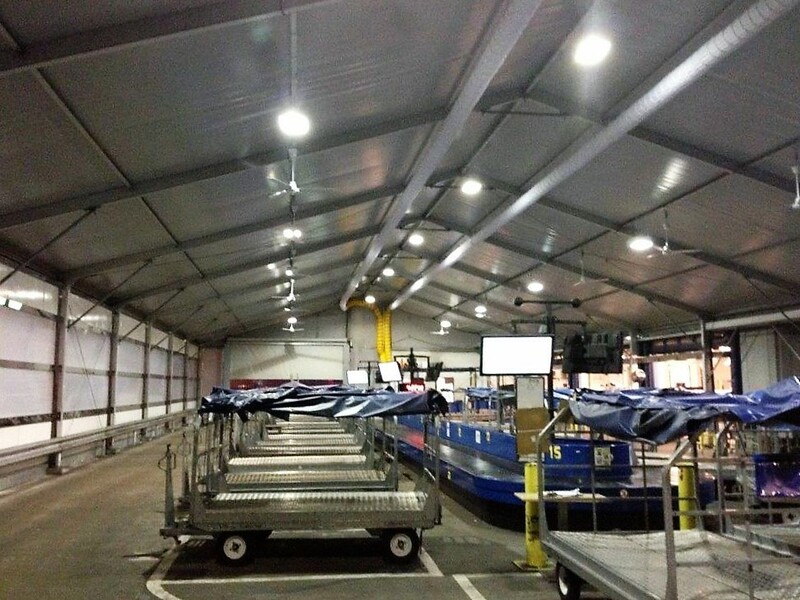 The image below depicts a Marquee that was utilised as an extra baggage handling area at London City Airport and demonstrates the wide variety of uses for our structures. Are you a venue or hotel looking to extend your premises for additional space to accommodate more people? Our clear span marquees make excellent semi-permanent buildings saving you the rental cost of an additional office or building. We have recently seen an increased demand for this affordable option as we offer flexibility in the respect of you choosing the amount of time that you want to hire, with the additional bonus of a reduced rate, the longer the duration of hire. We can offer a wide range in size of units by adding or removing individual bays to tailor to your exact requirements. ABS hard plastic walling and thermo roofs retain heat and also offer an additional security measure. Please call and speak to a member our friendly team to arrange a free on site visit or to discuss the benefits of Temporary Storage.